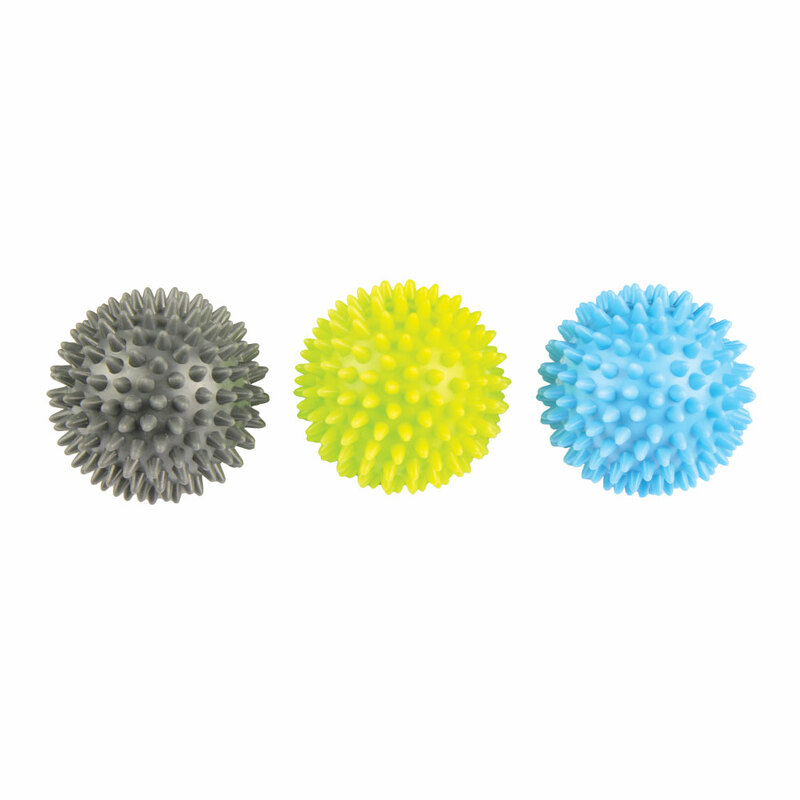 Featured in our January box, Fitness-Mad's set of 3 spikey massage trigger balls are perfect for self-massage. Use to help release muscle tension which can also help to release toxins and improve circulation. Lightweight and easy to carry you can take them with you for use before or after class or rehearsals. This set of 3 balls offers you the choice of 3 different hardnesses meaning if using for rehab purposes you can use progressively, or use different hardnesses for different areas of the body. How to use: Select an appropriate hardness and simply roll the ball around the area which needs to be massaged: For the lower back or glutes, start in a sitting position and position the ball between your back and a chair or against a wall For calves sand thighs try sitting or lying on the floor with the ball between you and the floor, then gently roll around on the ball For the shoulders or upper back, place between your back/shoulders and a wall whilst standing, and again, roll the ball around For the neck, roll the ball around between your neck and open palm - this is the same technique for arms Product details: Dimensions - 6.5cm diameter Materia - PVC Hardness's Light Blue - Soft Green - Medium Grey - Hard Warning - This product is not suitable for use by people with back injuries or those who suffer from lower back pain, unless recommended by a medical professional.